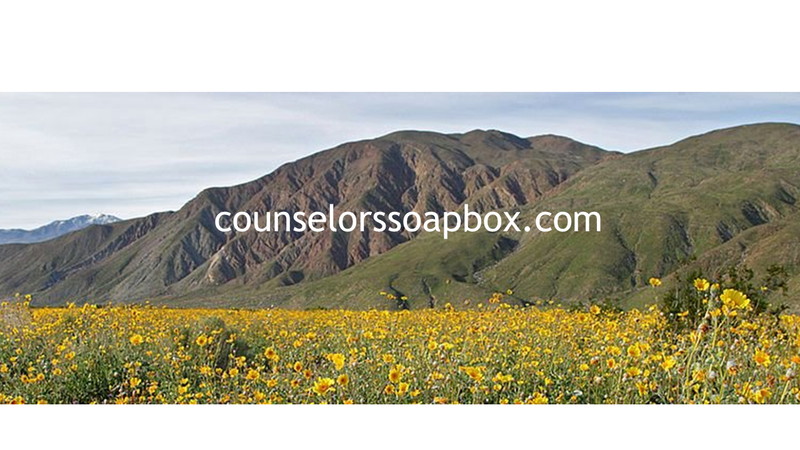 As promised the counselorssoapbox blog has been spruced up. Like so many other words and expression we use here in America, we got this one from our Country-Ancestors in the UK. Originally spruce items, like the trees, were things imported or originating in Prussia. One thing Prussia was especially known for in the pre-colonial days was fancy leather goods. So back then to “spruce up” was to put on your fancy leather jacket. Later it came to mean to get dressed up or to fix up your looks. So we have both imported some spruce tree pictures for this occasion and cleaned up the site. For more information on this and other UK expression that made their way to America please see – phrases.org.uk. One of the new features on the blog is a section about the books I have been writing. None of the books are published just yet but I wanted to share the process and the progress I was making on these projects. Two of my novels are in the editing and sending to agent’s stage, more on them later. My major non-fiction book project is about all the things beginning counselors need to learn to become helping as opposed to unhelpful counselors. It currently has the working title “How to do counseling” While working on this project I have had to do a lot of research on books for counselors and on books counselors might suggest to their clients. In my own private therapy practice, I sometimes do what we counselor types call “Bibliotherapy” which is suggesting books for our clients to read. So as the project progresses I would like to tell you about some of the books I have read that might interest you. You will be able to see some short book revues about counseling, therapy, recovery and resiliency and other “having a happy life” books. As the list grows there will be a list of recommended books and resources. If you have a particular favorite helping book email me or make a comment on the blog. Till next time wishing you a happy life. David Miller, LMFT, NCC. This entry was posted in Commentary, Counseling and Therapy and tagged Counseling, Happiness, Recovery, Therapy, Writing by David Joel Miller. Bookmark the permalink. Now I know how “spruce up” entered the language. Too many Iowans plant spruce trees, not native to the region, and I think they look terrible. Out of place. They belong in red-rock country. Europeans also brought us garlic mustard, which is choking out woodland wildflowers and spreading across the Midwest like a blanket. Trouble is, all the natives keep dying. Dutch Elm disease. Emerald ash borer. White pine, butternut forests, some fungus or other claims all the good stuff. Survival of the fittest is sad to observe.